Josh is kind of a hard person to buy gifts for. He is so content with the things that he has that there isn't much that he wants. If you head over here you can get your free printables! Marci the creator of these printables has every state and a map of the USA. She also has the hearts that you can cut out. On Josh's map I marked all the places we have been together (That I could remember!). I got the frames at Marshalls for $8. 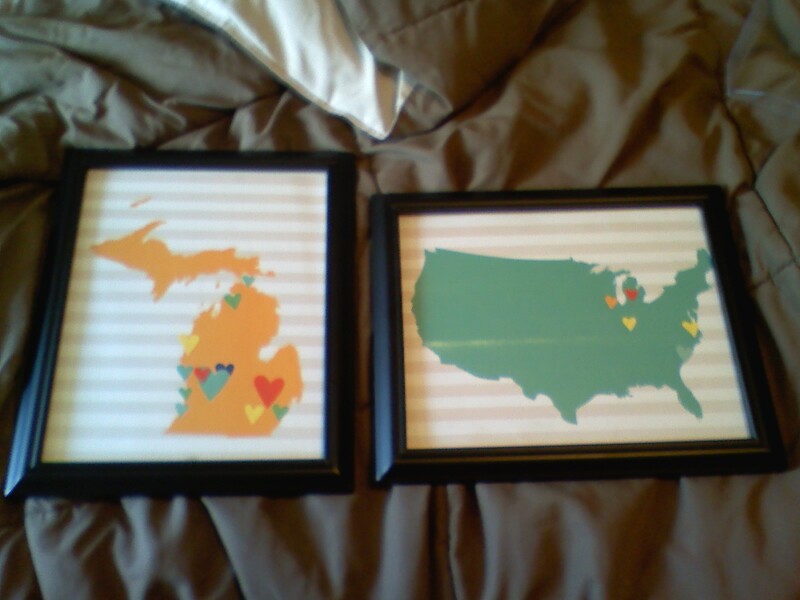 A cheap, cute, and thoughtful gift if I may say so myself! oh, what fun! i love this idea!